This was a particularly challenging project. It took a lot of time to figure out how to properly light wine bottles. They are very reflective. Once I had the lighting figured out and the camera settings dialed in, the editing of the photos became a matter of whiting out the background, brightening the label, and a few minor retouches. This particular bottle had the added step of having a label from the importer that needed to be edited out. 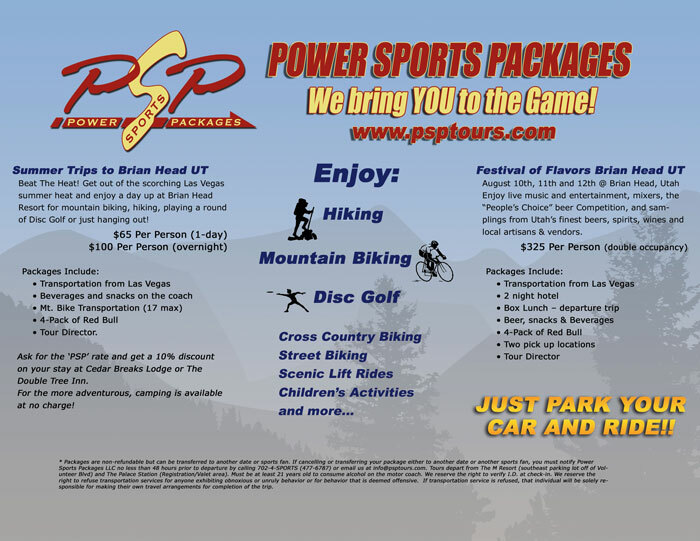 A tri-fold brochure made for Power Sports Packages to promote their summer trips to Brian Head, Utah. This campaign was targeted at residents of Las Vegas as a weekend getaway from the summer heat. A promotional flyer for the band the Nightriders. Created in Photoshop using a mixture of text, photos and graphics. A promotional document made for their trip to the X-fighters motocross event, sponsored by Red-Bull. A website built for The Skelton Group. Created with wordpress and a theme custom built by me.